As a food blogger, I feel that I should put myself on the front line, at times, and try new offerings whenever available. 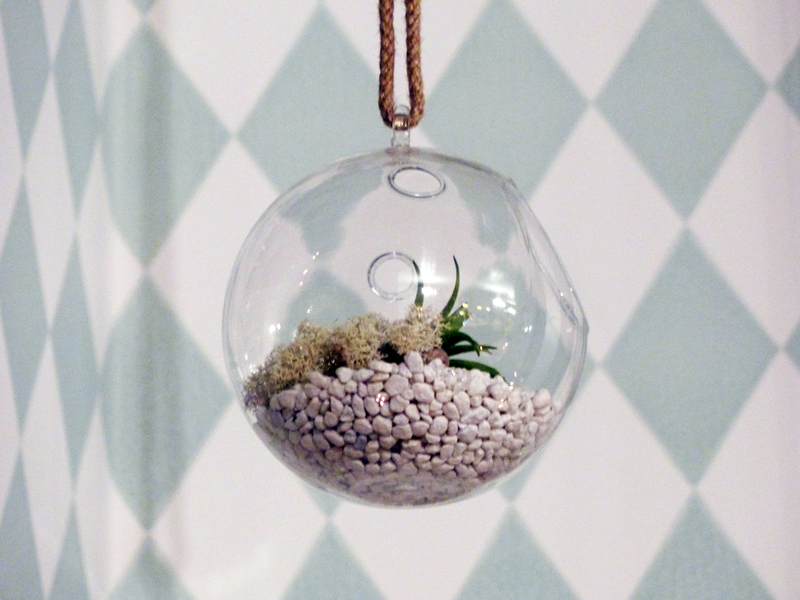 So I got myself a table at this dainty little restaurant in Chapel Market, terrariums and all, for its soft launch last week. This is head chef Thuy’s first venture into a fully fledged restaurant after a successful blog and supper club (which in hindsight I have actually visited before for some tasty recipes!). After a lengthy peruse of the many enticing offerings from LVK, we ordered the Coconut Caramelised Pork Summer Roll to share and a Bun Bo Hue to devour all by myself. My friend choosing the Chef’s Special Dry Noodle Bowl. 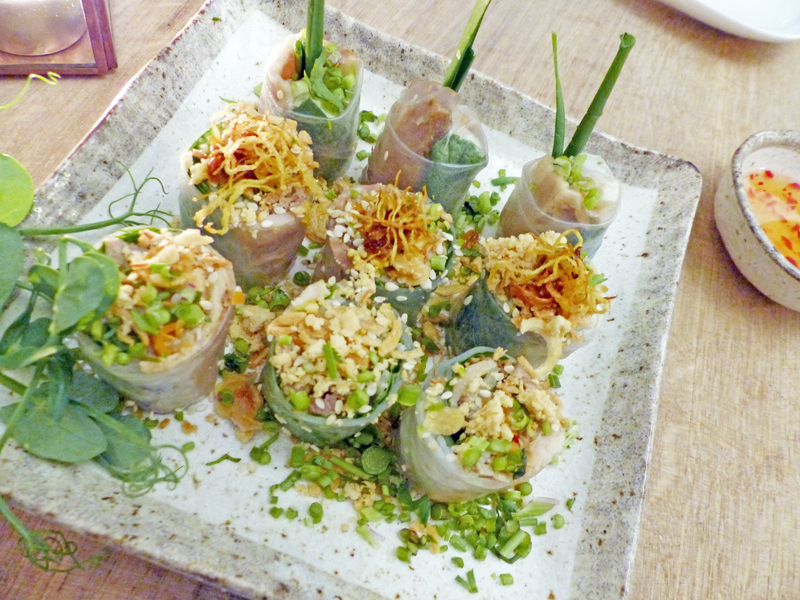 The summer roll was beautifully presented, sprinkled with splashings of crunchy textures. The dried shallots provided a nice smoky flavour to the delicate rolls packed full with herbs. The flavours and ingredients were definitely on point and it was great that each bite had a combination of textures and tastes. Though if I were to be picky I felt that the fresh ingredients could have been showcased even better since I felt the pork was a little hidden and the dipping sauce could equally have had more kick. Might I add that every dish served was presented like an Instagram advert (I think I need to jump on this bandwagon! 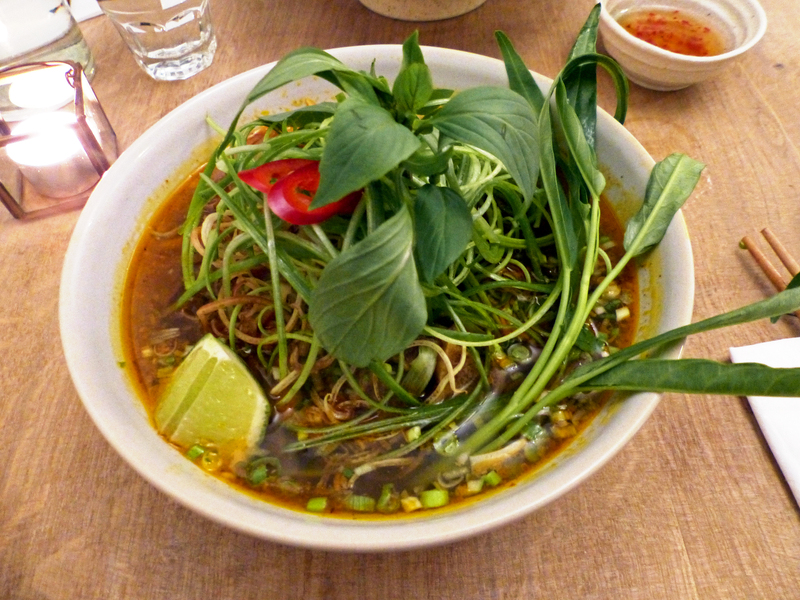 ), full of colour and herbs, just as Vietnamese food should be. My Bun Bo Hue was fantastic! The flavours were authentic, with copious amounts of herbs providing layers of flavour, and the spice levels were hot enough to feel like you were in the middle of Hue (without the sweltering heat!) whilst allowing you to appreciate the complexity of the broth underneath. I loved how there were various different beef offerings such as tail, shank, beef balls etc and lots of it! All cooked just right so you could savour the tender juiciness of the meat. I also found some Cha Lua (a type of Vietnamese sausage), which is always a good sign for authenticity. This is definitely one of the best bowl of noodles I’ve had in London! Since I basically ate half of my friend’s noodle dish, thank you for contributing to my exploding gut that night, meant I managed to try a range of LVK’s starter. I did like all the individual offerings especially the welcome addition of lap cheong slices, providing an earthy richness to the dish and the tasty prawn cakes though I do think these could have been even crunchier. The mocktail we ordered was a pleasant ode to the cendol you get in Asia with a little added sherbert excitement to tantalise the tongue, and anything with coconut milk in it immediately gets a thumbs up from me! Whilst I was fully looking forward to stuffing my face in the Banana, Coconut and Pistachio Ice Cream Cake, the two (and a half) large portions of food meant I was full to the brim though this gives me even more reason to come back! Service was friendly and the small attentions to detail were very welcome, I wonder if they can manage to keep it up in a full house after soft launch. LVK is situated towards the Penton Street side of Chapel Market, where the Panda seems to find himself frequenting a lot these days, perfect after some retail therapy at Camden Passage/Angel Central or just if you are around the area. I have to say I did dock marks off LVK because I feel that at 50% off food the price point is about right, maybe a little cheap but if at full price it might be a tad high. Though this is the best Vietnamese I’ve had in London as of now!